Recently, the well-known American multinational telecommunications and smartphone manufacturer, of course, Motorola just introduced a few weeks ago its new range of Motorola smartphones, of course, I am talking about the all-new Moto G7, the most popular mid-range smartphones of the brand. Now it seems that we are very close to the launch of the second generation of the first mobile with Android One of the firm. 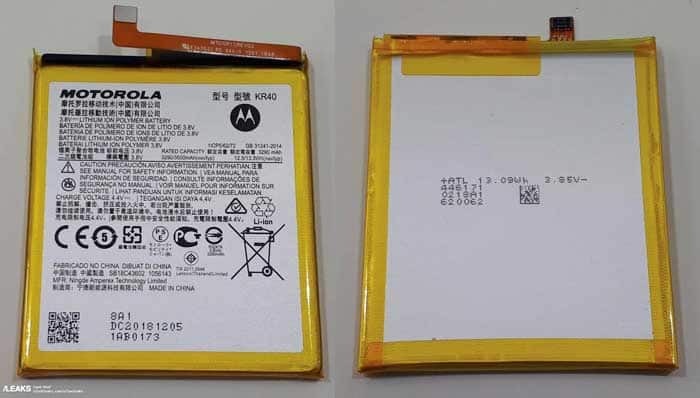 Now we have seen an image of the Motorola One of 2019 that seems to have a press or Marketing origin. 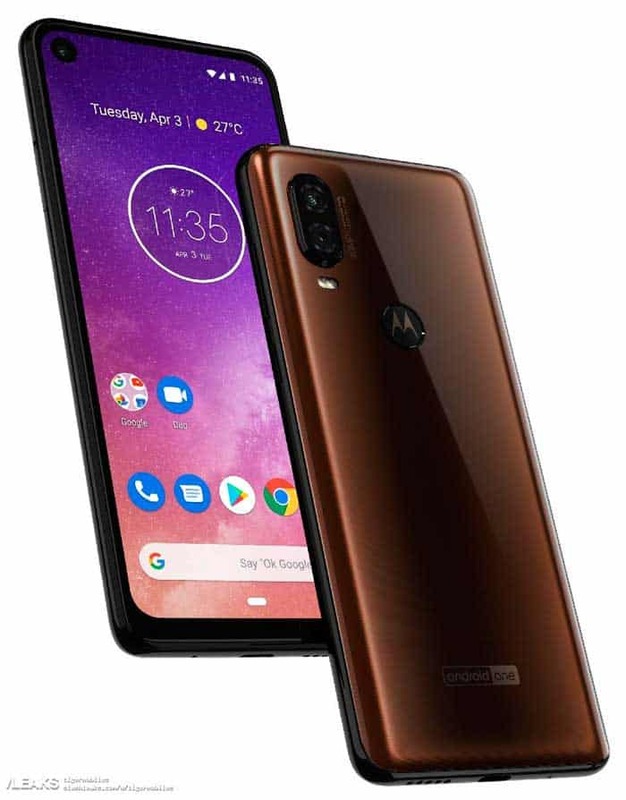 The well-known American multinational telecommunications and smartphone manufacturer, of course, Motorola just introduced a few weeks ago its new range of Motorola smartphones, of course, I am talking about the all-new Moto G7, the most popular mid-range smartphones of the brand. Now it seems that we are very close to the launch of the second generation of the first mobile with Android One of the firm. Now we have seen an image of the Motorola One of 2019 that seems to have a press or Marketing origin. A few days ago we knew precisely the first features of the Motorola One of 2019, in which we could find what would be its processor, which is quite surprising, as it would be a Samsung Exynos processor. As we said a few days ago we knew the passage of the Motorola One of 2019 by Geekbench, where it appeared with the name of Motorola One Vision, which may be another possibility when it comes to naming this new Motorola smartphone. While in today’s case, it confirms what Roland Quandt showed a few days ago with a render of the design of this device The difference is that now we are talking about a press render that shows us an even more realistic look of the design of the brand-new Motorola One of 2019. As you can see, the most prominent aspect of this image is the hole in the device screen, which integrates the front camera. As last year the Motorola One had a notch in the form of an eyebrow. In this case, the change in the design is noticeable in the front, and the entire surface of the screen is used much better. The proportion of the screen seems the same, with the same edges as we can already find in the previous model, with the clear difference of the absence of notch and the appearance of the front camera in a hole inside the screen. In the back, there are not many changes compared to the last year. 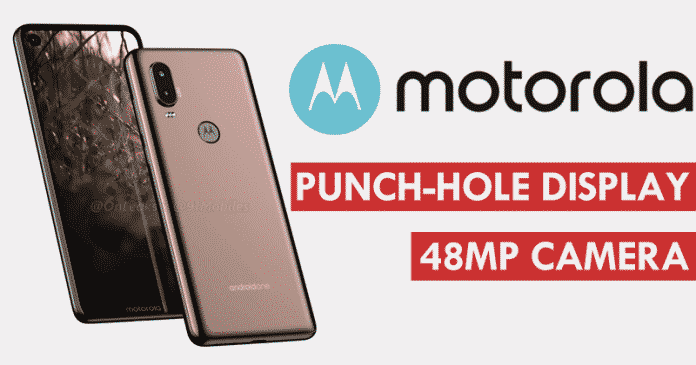 As the well-known American multinational telecommunications and smartphone manufacturer, of course, Motorola relies on a dual camera (48MP) which is arranged vertically, while the main difference is that the LED flash is located under two lenses. In the lower part, we can see the logo of Android One, with a different design than usual, which confirms that we are facing the second mobile with this Motorola system. Once again, the Motorola logo will integrate the fingerprint reader in the back. So far we have known that the Motorola Moto One of 2019 will have the Exynos 9610 processor, leaving aside the Snapdragon of last year.